Lensvelt will exhibit -Nothing New- this year at the Salone del Mobile in Milan. The distinctive Dutch furniture label will not be showing a new product. Lensvelt creates sustainable, timeless designs. 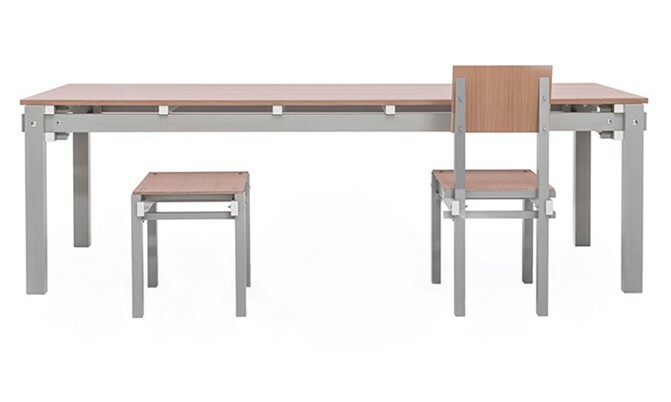 It only develops new products when there is a need for it – when current furniture no longer satisfies, improvements are desired or other needs have arisen. Curator, entrepreneur and publicist Anne van de Zwaag conceived the ingenious concept for -Nothing New-. Lensvelt will reuse existing furniture by temporarily buying it back through Marktplaats, Ebay and 1st Dibs. Or by borrowing the furniture. After the Salone the furniture will be returned to its owner. The exhibited pieces will be complemented by existing showroom items. -Nothing New-, which will be presented in Museo Diocesano, is their anti-statement against the endless buying of new items that we do not need, while the existing furniture is still in perfect shape. This museum will be renamed Fondazione Lensvelt during the Salone del Mobile 2018, a nod to Fondazione Prada. 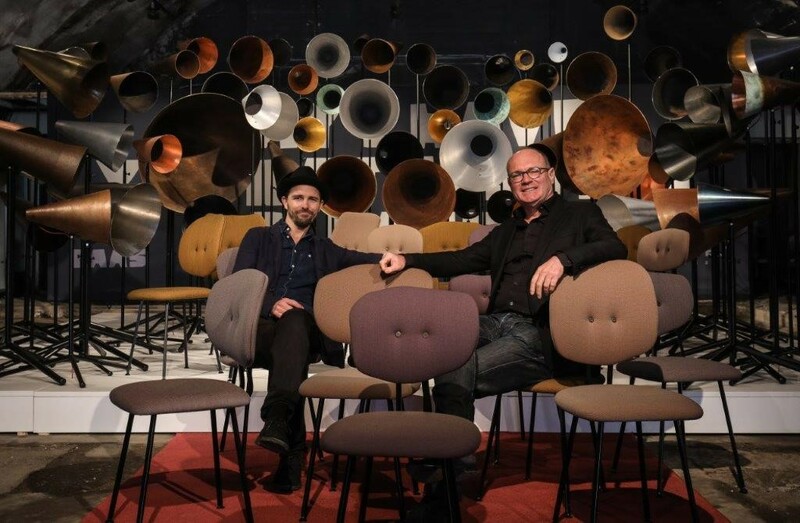 Lensvelt invited Maarten Spruyt, a premier stylist and exhibition designer, to design the installation. In a never-before-seen moving spectacle, Spruyt brings together Lensvelt’s iconic designs with autonomous art en photo works and installations he had selected himself. He seeks the limits of what is possible. This leads to an exciting interaction between disciplines, a collaboration that fits the spirit of the times. AVL Spider of Atelier Van Lieshout (2012). The repurchased design icons from Lensvelt are from top designers: Studio Job, Richard Hutten, Marcel Wanders, Maarten Baas, Ronald Hooft, Piet Hein Eek, Maarten Van Severen, Atelier Van Lieshout, Rick Minkes, Ineke Hans, WH Gispen and Gerrit Rietveld. 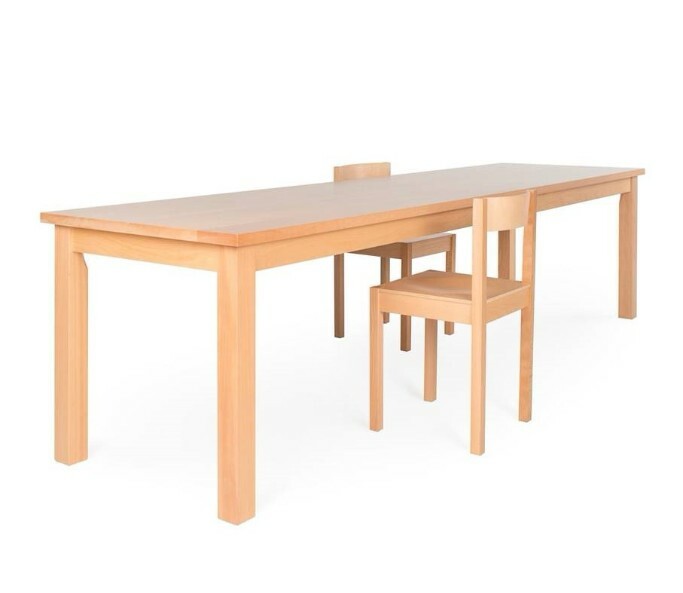 No Sign Of Design Richard Hutten (1990 table and 1992 chair). These items develop a relationship in the installation with works by famous artists that are not commonly seen at a design fair such as Milan: Joep van Lieshout, Felix Burger, Christiaan Zwanikken, Sander Breure and Witte van Hulzen, Michel Voet, Marleen Sleeuwits, Isabelle Wenzel, Kevin Power, Alet Pilon and Freudenthal Verhagen. For Maarten Spruyt Nothing New means a retrospective of the sixties and seventies, a period that shows parallels with the political situation and the rapid changes in the world today. It is also the period in which Lensvelt was founded (1962). Spruyt will transform the gallery under the seven arches of the Museo Diocesano into a furniture production and assembly line. Referring visually and emotionally to the scale of factories but also to anonymous, lonely office environments. 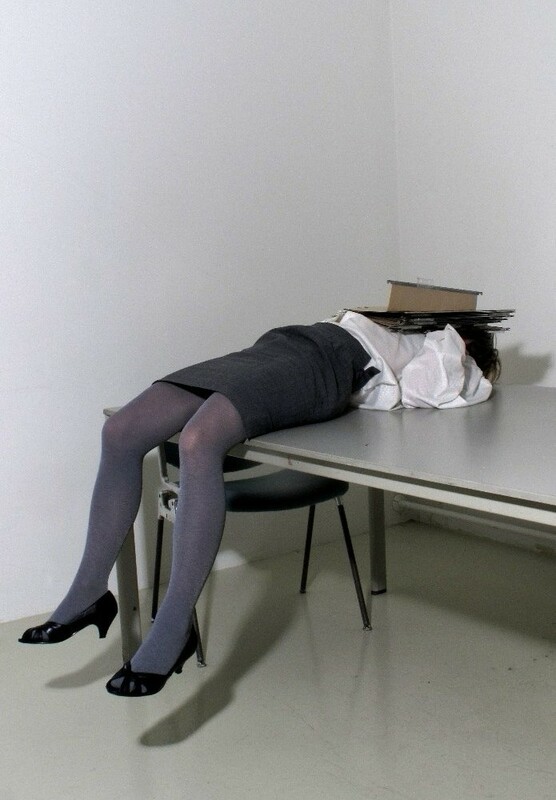 In these arches humorous photos by Isabelle Wenzel and buried under binders or half visible in a filing cabinet. Also on a display are works by Marleen Sleeuwits’, that turn our perception of space upside down, featuring anonymous work and living environments and empty places without identity, such as offices, hotels, and airports. These are interspersed with, among others, the AVL Cloud Table, a polyester table from Atelier Van Lieshout that symbolizes the freedom and volatility of clouds and the liberation of the office worker, and the ultimate anti-design statement: Richard Huttens’ no-nonsense No Sign of Design Chair and Table. 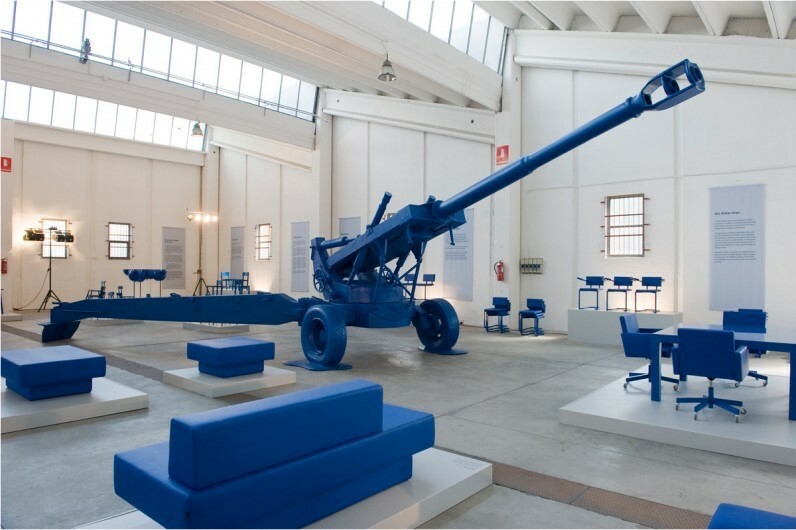 De Lensvelt-Atelier Van Lieshout installatie in Milan 2012. Spruyt draws parallels with the British artist and incentor Jim Whiting who became famous in 1984 when he had kinetic robotic figures dance in Herbie Hancock’s music video Rockit (and won the very first MTV Video Music Award for Best Art Direction). 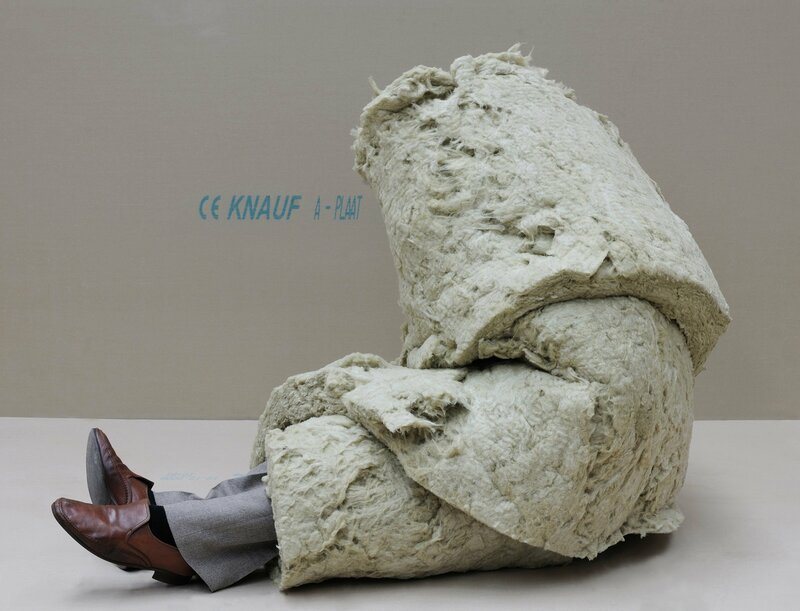 That work is reflected in contemporary art such as that of the artist Christiaan Zwanikken. His kinetic and mechanical sculptures are controlled by means of electric motors and computer technology, and presented next to furniture from the Lensvelt collection that moves, opening and closing, as a nod to a furniture quality test. In the courtyard visitors can surround themselves with the Forest For The Trees, sheet metal coat racks designed by Ineke Hans, lounge comfortably in the Cane Divan by Simo Heikkilä or talk to The Oracle from Atelier Van Lieshout. The Cane Diva of Simo Heikkilä (1983). 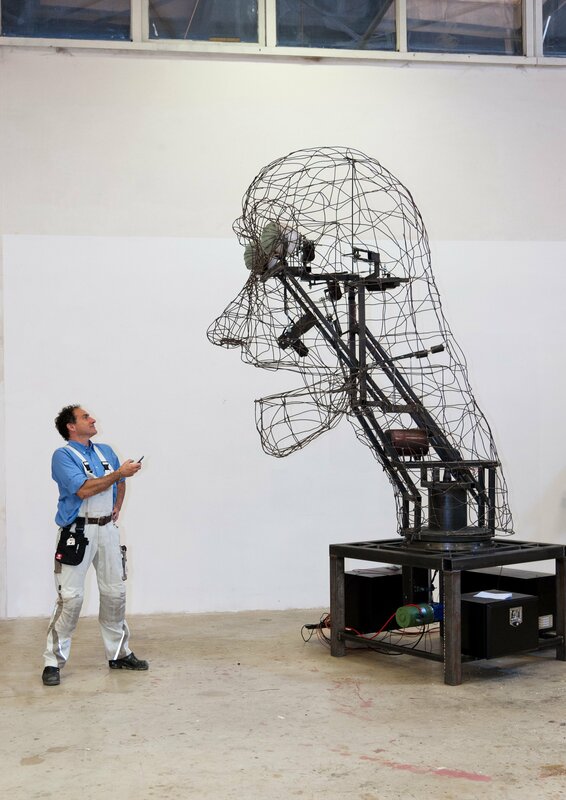 The mechanically moving head serves as a mirror of our society, reiterating poetic, philosophical, or politically incorrect text messages from the audience. Spruyt highlights other unchanging social issues such as war and violence. 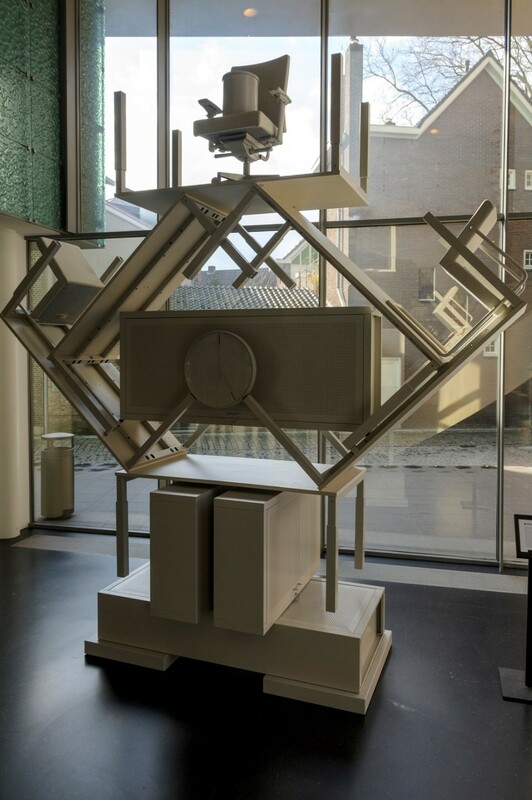 The disturbing Shell Shock Syndrome by Felix Burger is next to the Military Table by Gerrit Rietveld. Homelessness, refugees and illegality are also themes that he doesn’t shy away from. 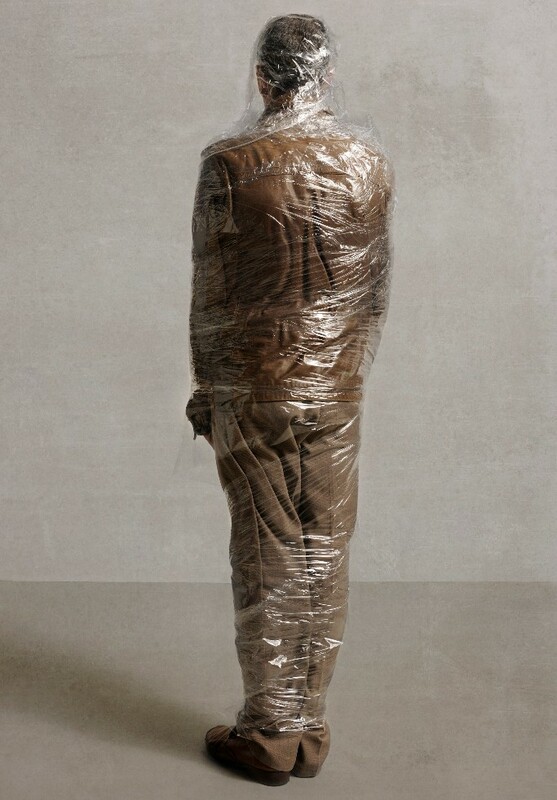 Maarten Spruyt creates an alienating, oppressive and confrontational environment with which he wants to evoke emotions. By bringing existing works into a new light, he shows a new image that makes people think. -Nothing New- is equally completely new. Like Lensvelt, the acclaimed architectural firm Space Encounters and Anne van der Zwaag share a critical note in the mecca of Milan’s design world. In Museo Diocesano they will create a rebellious Bar. Bar Anne is a manifesto, a radical statement against the craziness of money-wasting, all but sustainable design fairs with an abundance of presentations and products. Bar Anne is a functional exposition, a low-threshold relaxation hangout, experience, meeting and networking space, creative hub and food hall. In addition to the participation of a number of generous partners and a spectacular integrated light installation by Children of the Light, Van der Zwaag selected talented Dutch designers to contribute to the interior of the bar: Rick Tegelaar, VANTOT, Mae Engelgeer, Klaas Kuiken, Dirk Vander Kooij, Jólan van der Wiel, Handmade Industrials, Jelle Mastenbroek, NIGHTSHOP, Sabine Marcelis, Brit van Nerven, Kranen / Gille, Fransje Gimbrère, Aart van Asseldonk, and from Belgium: Muller Van Severen. The model of Bar Anne as how it will be in Fondazione Lensvelt during the Salone del Mobile 2018. Just like -Nothing New-, Bar Anne is a stubborn Gesamtkunstwerk for everyone who craves something else. 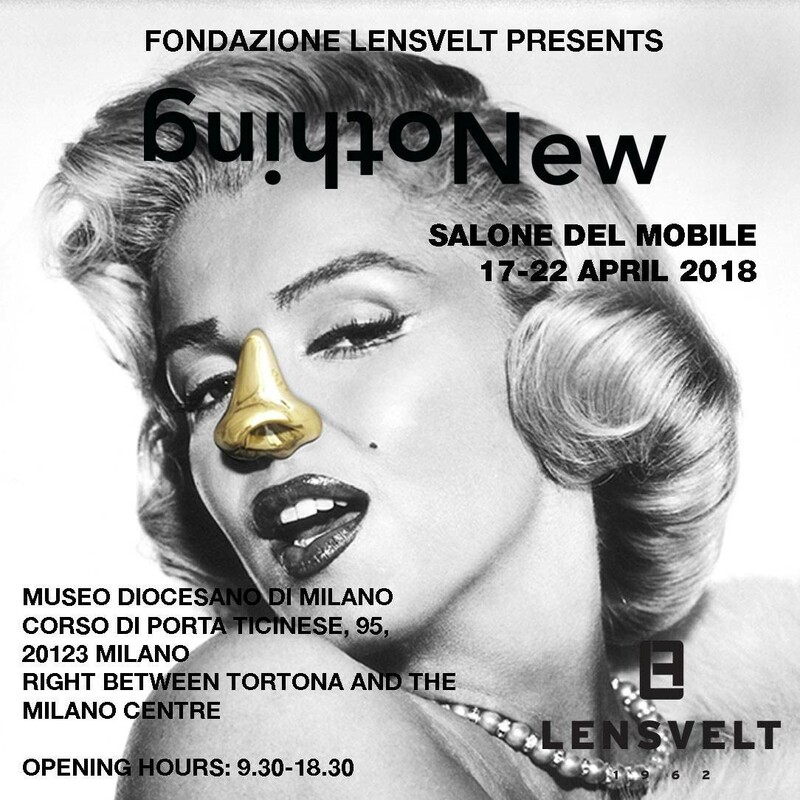 This isn’t the first time that Lensvelt has stolen the limelight in Milan. Lensvelt and architectural firm Space Encounters won a prestigious Milano Design Award at the Salone del Mobile for Best Concept in 2016 with the innovative and idiosyncratic concept for the Boring Collection: a Memphis-like gray office city of archetypal stacked desks, cabinets, office chairs, clocks and waste bins. The Boring Collection originated from frustration. During the recession, young architects in particular delivered presentations to real estate owners based on a no cure no pay formula. These were used for (office) rental. The new tenant would get new floors, walls, ceilings and a reception as an incentive to rent the space. The tenant would then go in search of furniture for their offices. Driven exclusively by low price, the result was a cacophony of poor, unimaginative furniture. And the entire concept was ruined. Lensvelt and Space Encounters offered a welcome alternative to the screaming ugliness. The modest gray Boring Collection is affordable, aesthetically pleasing, good quality, functional and extremely affordable. 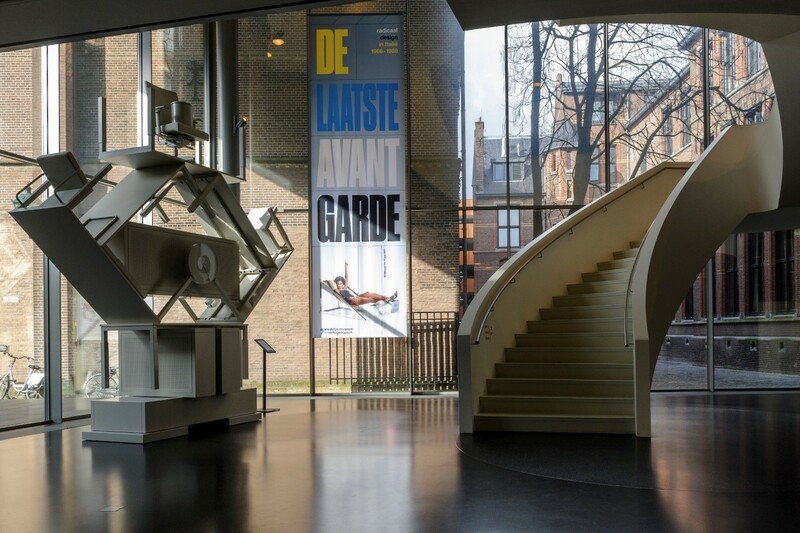 The Boring Collection Installation in the Stedelijk Museum ’s-Hertogenbosch. 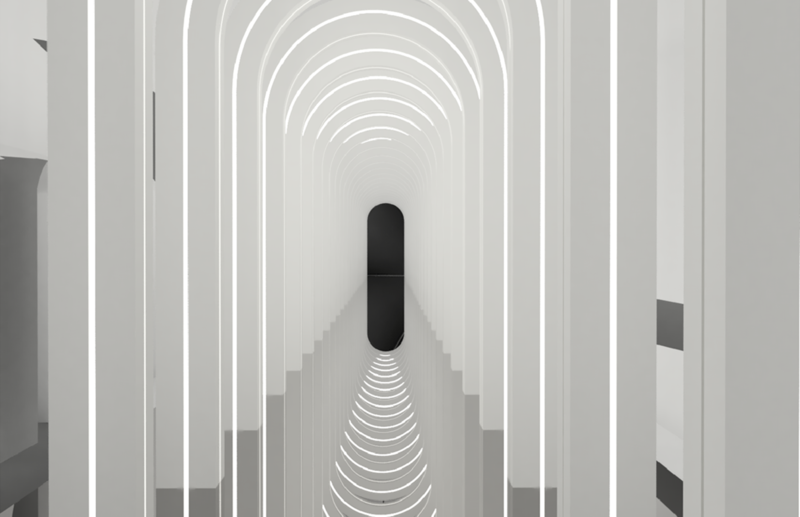 Never before has both a company and a designer won this prestigious award twice. Lensvelt and Maarten Baas succeeded. With the installation ‘May I have your attention, please?’, Maarten Baas and Lensvelt won the Milano Design Award for Best Concept 2017. At trade fairs such as the Salone, everyone shouts for attention. Large companies do that with spectacular presentations and young designers with new ideas. This phenomenon inspired Maarten Baas to name his exhibition May I have your attention, please? 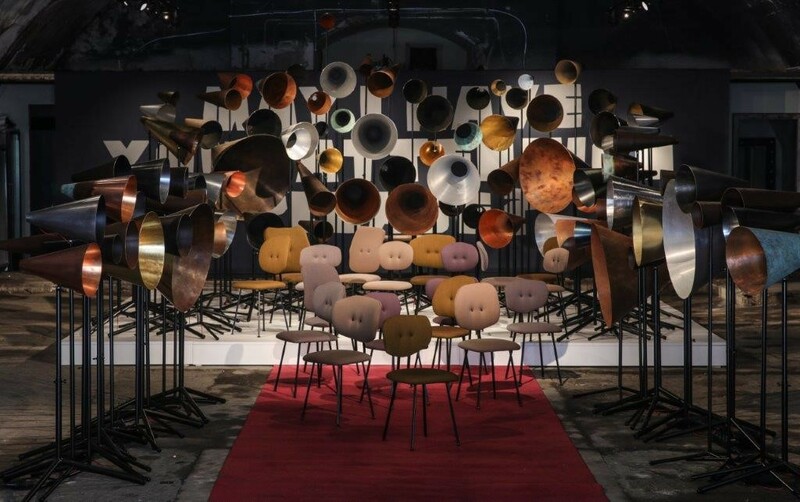 and launch the eight different Maarten Baas 101 Chairs he designed for Lensvelt, accompanied by dozens of horns with whispering voices. -May I Have Your Attention, Please?- during the Salone del Mobile 2017. 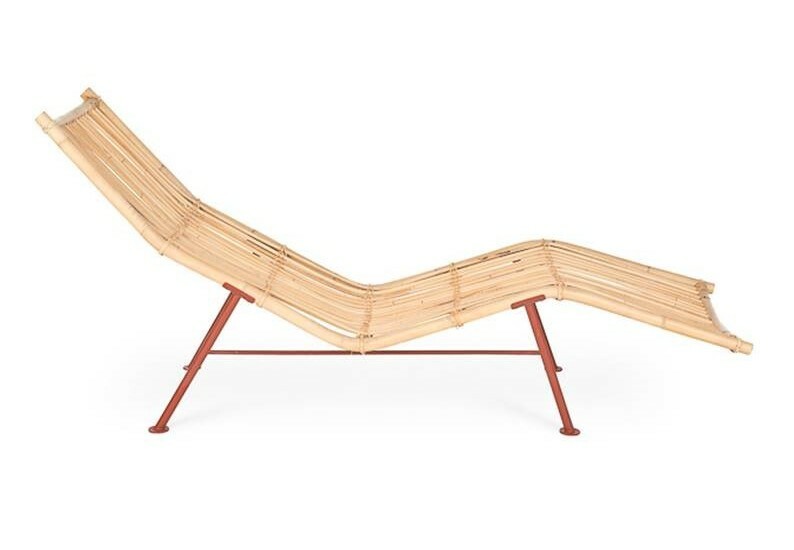 Maarten Baas and Hans Lensvelt in -May I Have Your Attention, Please?- during the Salone del Mobile 2017. 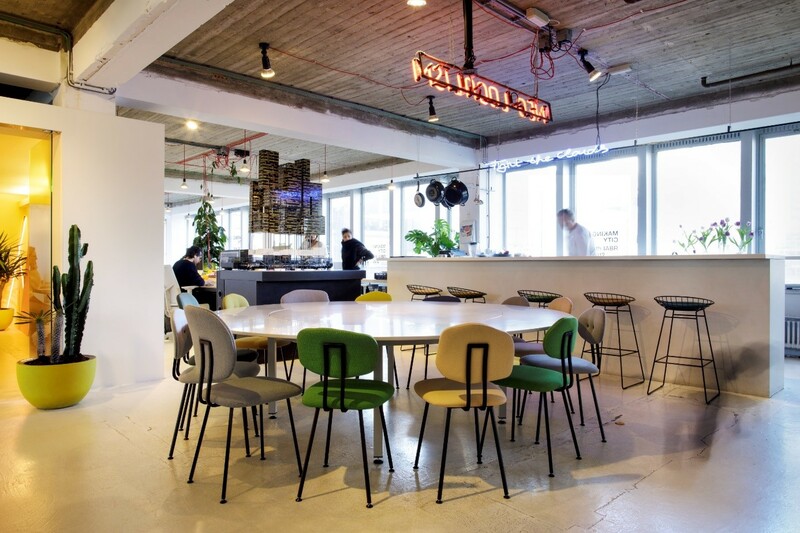 The Offices of the Rotterdam based architectural firm ZUS using the Maarten Baas 101. 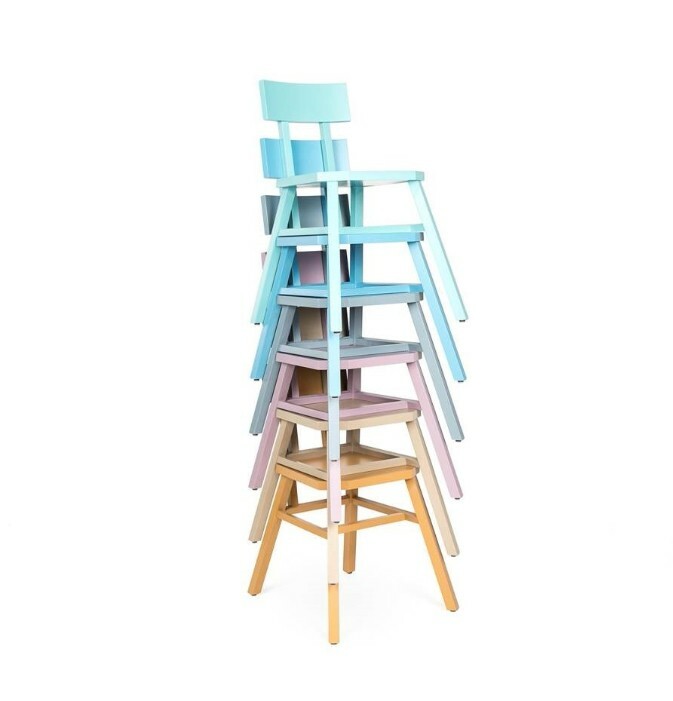 Lensvelt is an engaged and idiosyncratic non-design furniture label and project designer. Since its founding in 1962, Lensvelt has been offering architects and interior architects the means to make ever better interiors. With innovative, authentic, ergonomic, affordable, comfortable, functional and durable furniture with a ‘twist’, Lensvelt wants to contribute to a new world that is greener, better and more social. That is why it is also a convinced proponent of locally produced goods and believes strongly in the power of loyal neighborship. The furniture label bridges the gap between the commercial world and the most innovative designers and remarkable artists, and exhibits award-winning presentations at the Salone del Mobile in Milan. Open Tuesdays 17 to Sunday April from 10-19 hours. Bar Anne is open from 11 to 01 am.